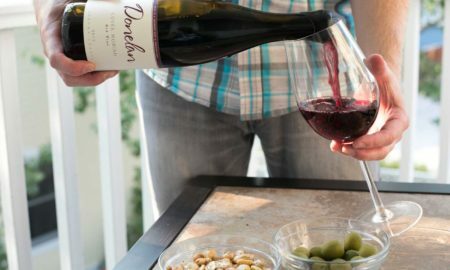 As spring begins to permeate the air, the temptation as a wine drinker is to shift seasons as well: Bust out the rosé and refreshing white wines — I’ll be on the back porch, glass in hand, shivering in my shorts. Getting hung up on the seasonality of wine can be a trap of sorts, but I find that there is no way around it when it comes to Sauvignon Blanc. It is springtime in juice form: a vernal cocktail of crisp peaches, melon, lime and — most spring like of all — greening grass. But what can be said about Sauvignon Blanc that hasn’t been said before? You could say “it is a white wine for Chardonnay haters.” After all, that seems to be its identity among the masses. 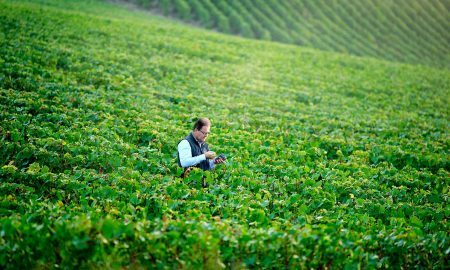 Or, if you pay attention to wine a little bit, you might say “the best Sauvignon Blanc comes from the Loire Valley and New Zealand.” But is that even true? 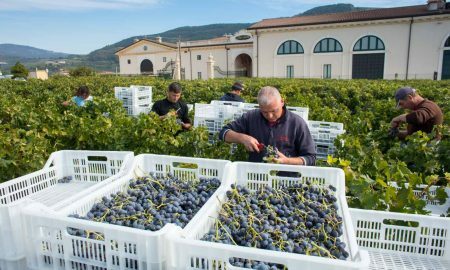 Generally, the more ubiquitous the varietal, the more scattered its quality. I’ve had bad from both places. Perhaps like you, I struggle with Sauvignon Blanc. It is a real love/hate relationship. But then, you find a wine like the 2015 Domaine Trotereau Quincy (★★★★ 1/4), and all those antagonistic feelings toward the grape vanish. This is a gem of a Sauvignon Blanc, bookended by densely concentrated aromas and a simmering finish that lasts for half a minute. I’ll tell you more about why this wine surprised me in a moment, but its worth diving a bit into its origin first. 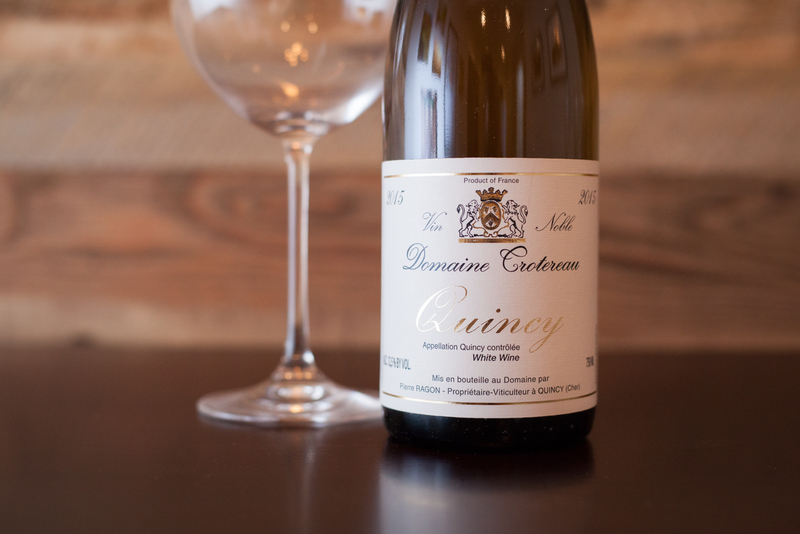 Quincy is a commune in the Loire Valley of France, once held in higher esteem among Sauvignon Blanc lovers than Sancerre or Pouilly-Fumé. But that was 50 years ago. 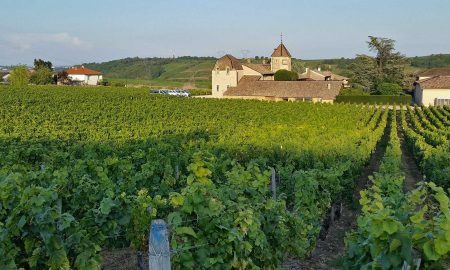 Decades of bulk wine production and neglect have pushed the second oldest AOC in France to obscurity on the international scene, which is a shame. The soil in Quincy — a strange pink limestone — has the potential to create an original Sauvignon Blanc. 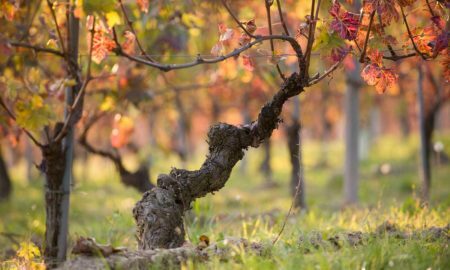 This is just the sort of thing that Kermit Lynch (the importer) would keep an eye on, and it appears he’s found a good winemaker to showcase this terroir in Domaine Trotereau. If this bottle is any indication, they’re reclaiming some of Quincy’s prestige — at least the nose would seem to suggest so. That crucial first impression lifted from the glass like a burst of coiled energy, creating a sensation that recalled grapefruit, honeydew and — most distinctly — marsh grass. All night long, it refused to be boring. 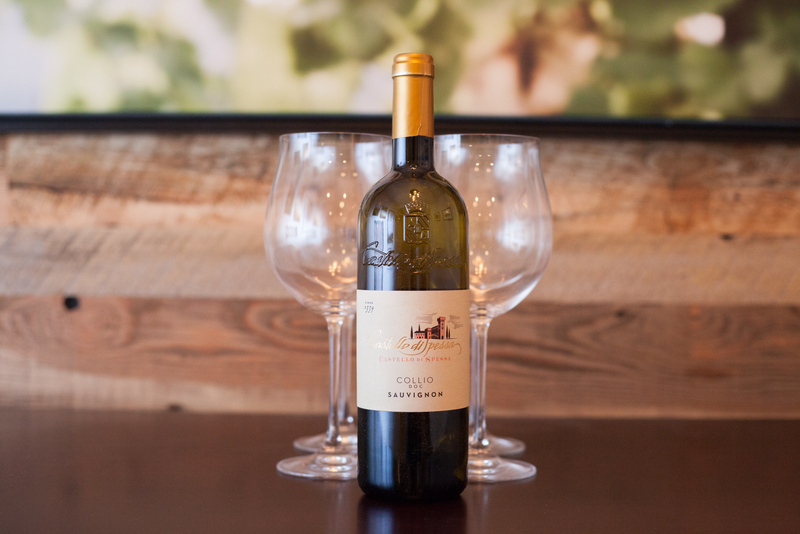 And come to think of it, the same can be said for the 2015 Castello di Spessa Sauvignon (★★★★ 1/4), which hails from the Collio region of Friuli-Venezia Giulia in Northeastern Italy. 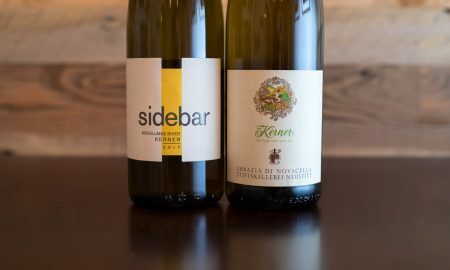 Most Italian wine fanatics believe that the country’s best white wines come from Friuli, and I tend to agree. But for all of the wonderful indigenous white grapes unique to the area, I can’t help it: my favorite white wines from Friuli are consistently “Sauvignon” (as they refer to it). 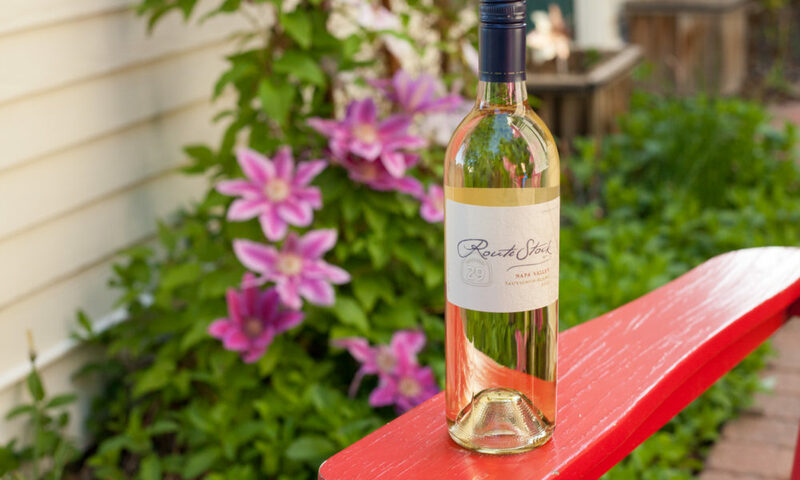 This bottling was simply refreshing; an ideal sipper for summertime loafing on the porch. But where it surprised me most was in its texture. As with other Friuli Sauvignon I’ve sampled, this one was silky and full — the kind of wine you want to swish around your teeth for a bit before each swallow. And the herbaceous note was snappy, natural and inviting. Boring Sauvignon Blanc recalls lawn clippings in the garage; excellent Sauvignon Blanc recalls a vegetable garden after it has rained. However, my favorite Sauvignon Blancs lately have hailed from California, particularly Napa Valley. This is quite a different tune than I was singing a year ago, but as it often happens during one’s wine-drinking career, a single wine emerges from the shadows of your own prejudice, and leads several others like it out into the light. For me, that watershed wine came last year in the form of the Grieve Family Wines Lovall Valley Sauvignon Blanc, which had the perfect combination of summer fruit, intriguing herbs and textural wonder (and it earned a ★★★★★-star review). 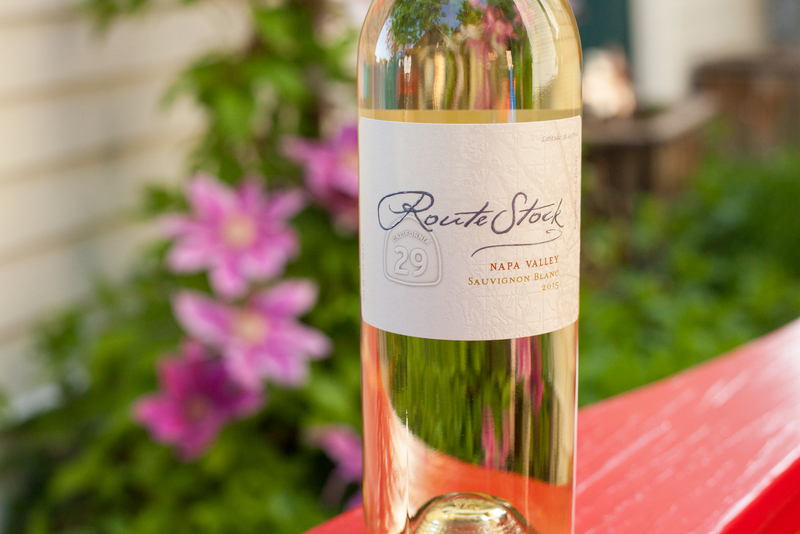 This year, its a bottle of 2015 Route Stock Route 29 Sauvignon Blanc (★★★★ 1/2) that has me nodding my head like an idiot. 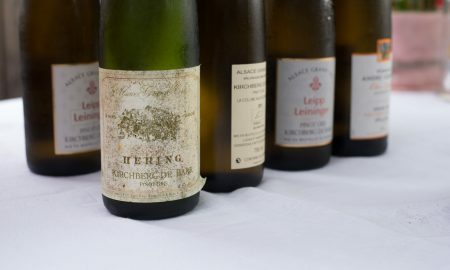 It may not have had the memorable bookends of the Domaine Trotereau — or the complex layering of the Grieve Family Wines bottling from last year — but it was delicious and harmonious from every angle, recalling peach, honeycomb, jasmine and tarragon. And when paired with roasted chicken and complex corn chowder with edamame, it showed great versatility at the table. 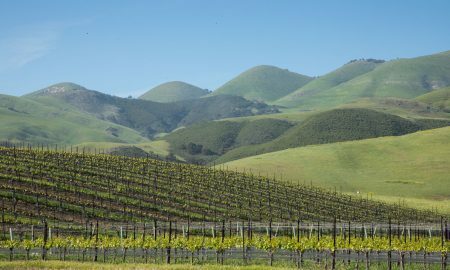 Another Napa Valley gem comes from Gamble Family Vineyards, whose vines overlook the Screaming Eagle estate. Despite that proximity, you can put aside any apprehensions: this is not another “how-much-can-we-make-at-auction” winery. Tom Gamble is a third-generation Napa Valley farmer, and that influences every aspect of his operation, from environmental stewardship right down to the family names he puts on the wine labels. 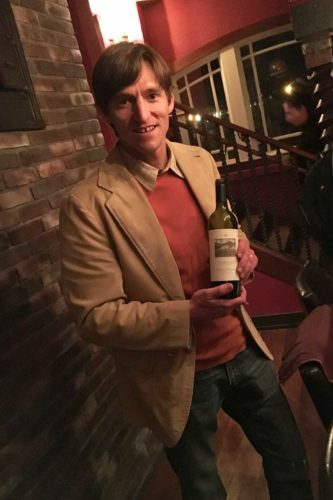 When I met Tom back in January, his down-to-earth charm showed in a couple of wines, but this being Napa, he had a few cabernet blends that showed a little more ambition and swagger, too. One of his most characterful wines is the 2015 Gamble Family Vineyards “Gamble Vineyard” Sauvignon Blanc (★★★★ 1/2), which demonstrates quite a bit of personality for a grape that often tastes anonymous. 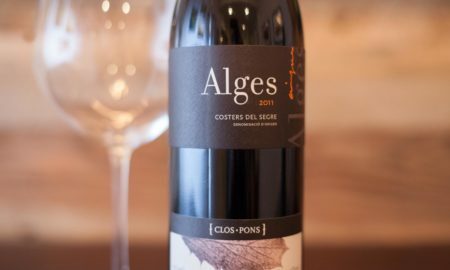 Some of this has to do with their use of the Musque clone of Sauvignon Blanc, which winemaker Jim Close told me lends the wine its voluptuous texture. It also has less of the herbaceous character often found in Sauvignon Blanc. The Gamble Vineyard offered up a compelling mix of notes reminding me of orange marmalade and pineapples, with swirls of vanilla bean from the oak. Try it with scallops. Seriously. 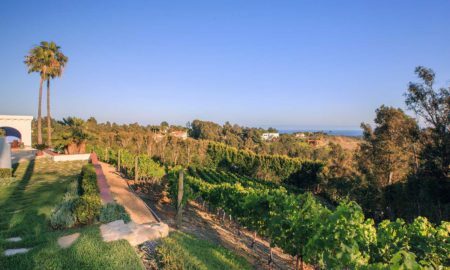 Finally, I’d be remiss to talk about surprising Sauvignon Blanc without mentioning the one served to me by Tyler Thomas, the winemaker at Star Lane Vineyards in Santa Barbara County. 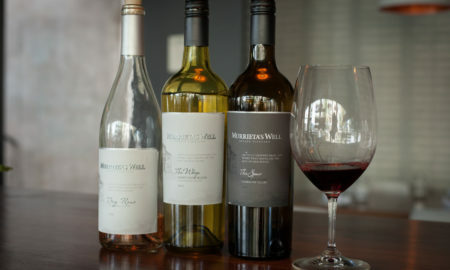 Throughout California, Sauvignon Blanc is often treated as the opening act at a wine tasting. 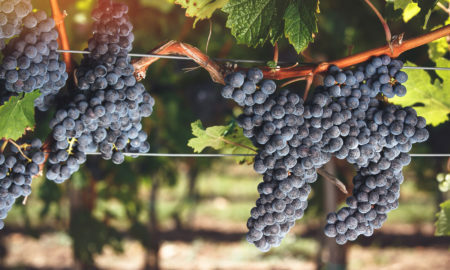 Often, that act comes across as mere noise before the headliner arrives, which is invariably a Cabernet Sauvignon or similar Bordeaux blend. 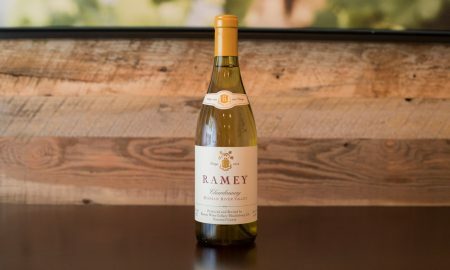 But with the Star Lane Vineyards tasting a few weeks ago, it was more like a few nights at Coachella — there were multiple headliners, and the 2015 Star Lane Vineyard Sauvignon Blanc (★★★★ 1/2) was one of them. 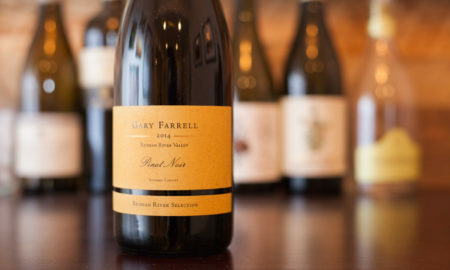 Distinctively citric and floral on the nose, it came across as a highly detailed wine from a special place. The fruit notes reminded me of peaches and kiwis, and each sip had a sharpness that kept the palate awake. We were at a restaurant in St. Helena, some 300 miles away from the vineyards, but with only three or four sips, I could sense the sun’s warmth. Now here is the problem: I don’t know of any reliable method to buy Sauvignon Blanc with confidence, other than trial and error and past experience. With Chardonnay (generally speaking) the cooler the climate, the more likely I am to enjoy the wine. 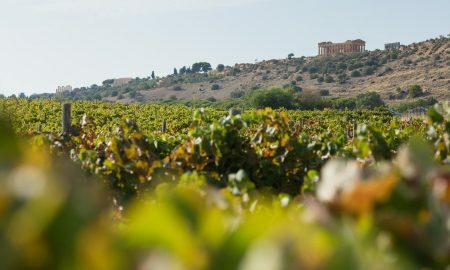 But with these five wines, there is no consistent thread sewing their excellence together, other than solid winemaking. Quincy is fairly cold, Star Lane is fairly warm, and in between them is a whole spectrum of climates. And what about New Zealand? Or Australia? 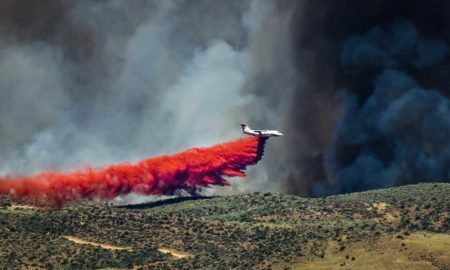 Or Chile? Or Washington? What Sauvignon Blanc surprises await the avid wine drinker there? If only the label would offer me more clues. Oh well. That’s kind of the wine-drinkers conundrum on a lot of things, isn’t it? Note: The bottle from RouteStock Winery was acquired as a sample from Wilson Daniels, and the bottle from Castello di Spessa was acquired as a sample from VIAS Imports. 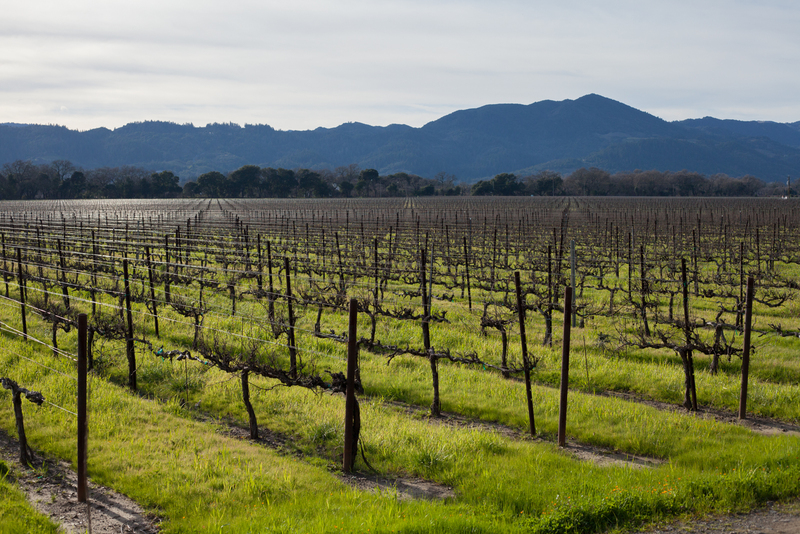 Gamble Family Vineyards and Star Lane Vineyard were encountered on a press trip. Learn more about our editorial policy.